From Boom! 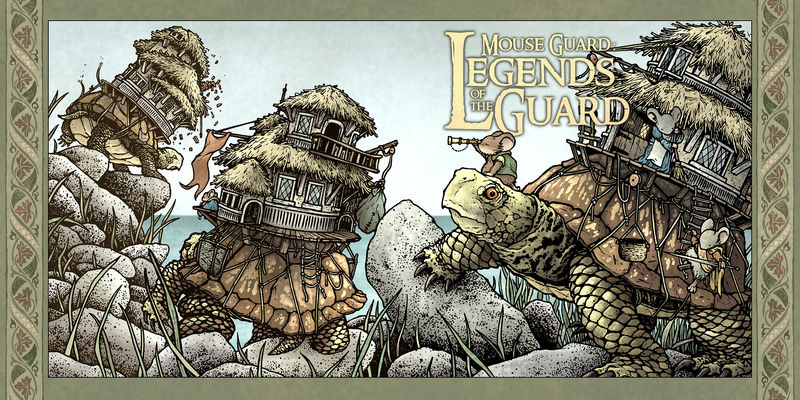 Studio’s Archaia imprint, Mouse Guard creator David Petersen is set to invite a new group of creators to come play in his sandbox in the third volume of the Legends of the Guard series. In the series, customers at the local watering hole are each invited to tell a story. The one who tells the best story will get their bar tab cleared. David writes and illustrates the scenes set in the bar, but the stories themselves are by created by the likes of Skottie Young (Rocket Raccoon), Mark Buckingham (Fables), Becky Cloonan (Gotham Academy) and Dustin Nguyen (Batman Eternal). The four-issue miniseries, which will be printed in Mouse Guard’s signature 8” x 8” square format, is set to debut in March.